Of the roughly 200 houses in Makhunik, Iran, 70 or 80 stand only 5.0 feet to 6.5 feet tall. Even this boy would have to stoop to get in the door. Long before the Hobbit, stories abounded around the world about miniature races of people. In Iran, there is actually a kind of proof. As Shervin Abdolhamidi writes at the BBC, “In the first part of Jonathan Swift’s book Gulliver’s Travels, Lemuel Gulliver washes ashore on the island country of Lilliput, where he encounters the Lilliputians, who stand barely taller than [6 inches]. “In 2005, a mummified body measuring [10 inches] in length was found in the region. The discovery fuelled the belief that this remote corner of Iran, which consists of 13 villages, including Makhunik, was once home to an ancient ‘City of Dwarfs’. Although experts have determined that the mummy was actually a premature baby who died roughly 400 years ago, they contend that previous generations of Makhunik residents were indeed shorter than usual. “Malnutrition significantly contributed to Makhunik residents’ height deficiency. Raising animals was difficult in this dry, desolate region, and turnips, grain, barley and a date-like fruit called jujube constituted the only farming. Makhunik residents subsisted on simple vegetarian dishes such as kashk-beneh (made from whey and a type of pistachio that is grown in the mountains), and pokhteek (a mixture of dried whey and turnip). “Arguably the most astonishing dietary anomaly was a disdain for tea – one of the hallmarks of Iranian cuisine and hospitality. Dorsa Derakhshani could read before the age of 2 and grew up to be a chess champion. 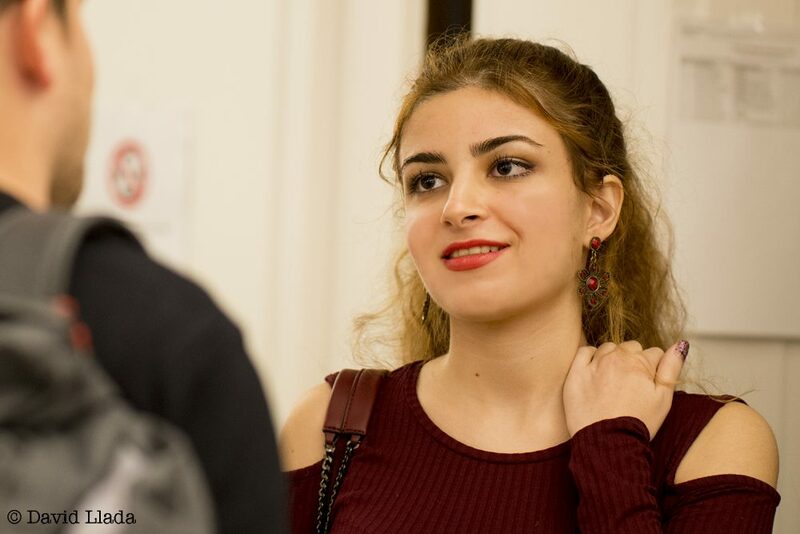 She was banned from Iran’s chess association for not wearing a headscarf. After you read this article on an Iranian chess prodigy, you are sure to be surprised by her current career goal. Not that there’s anything wrong with it; it’s just surprising. Mika Klein interviewed Dorsa Derakhshani at WBUR radio’s Only a Game, first watching an old video of Dorsa to get some background. “The year was 2000. Dorsa was 2, and appearing on a children’s television show. Dorsa wears a red velvet dress with puffy sleeves and dark tights. She’s tightly clutching a stuffed puppy, so the interviewer holds the microphone for her. Dorsa breaks into song, with the poise of seasoned performer, and the studio audience applauds. “The camera cuts to the audience. Most of the girls are sitting in the back, many are wearing headscarves. Dorsa’s head is uncovered. “Dorsa’s television career as a child prodigy was never going to last forever, but it ended abruptly when she was 6. “ ‘They made me wear a scarf against my will,’ says Dorsa … ‘I never went back for the TV. “Dorsa’s first big success came in the Iranian national youth under-8 tournament. Dorsa’s brother, Borna, was banned for competing against someone from Israel, Dorsa for not wearing a headscarf. “This July, she moved to the U.S. after being accepted to the chess team at St. Louis University. She said there were no problems when she landed in New York and cleared immigration. There are so many interesting cultures in the world! For example, when I was editor of a magazine about lower-income issues in New England, I heard for the first time about the Karen from Burma (Myanmar). Who? Soon after, I managed to acquire an article on Karen refugees in Waterbury, Connecticut, so I was able to learn something along with my readers. Recently, I heard of another new-to-me minority, members of which are being resettled in Massachusetts. They are called Mandeans, and their pacifist religious beliefs had subjected them to persecution in Iraq and Iran for millennia. Here is what Brian MacQuarrie writes about them at the Boston Globe. “The Mandaeans have found safety and acceptance since they began arriving [in Worcester] in 2008, freely practicing a monotheistic religion that predates Christianity and Islam. But they still do not have a temple — a ‘mandi’ for baptisms, marriages, and birth and death rituals — and whether one is built could determine if they continue to call Worcester home. “ ‘We really don’t have the expertise, the know-how, the connections,’ said Breegi, who also has founded a scientific firm that is developing a low-cost, disposable, neonatal incubator for use in developing countries. “To help forge the religious connections, Breegi and Sarkis are preparing an application for a nonprofit organization to help raise money for the temple. Worcester Mayor Joseph Petty said in an interview he is willing to help the project where he can. Worcester held a ceremony of welcome in April that “represented the first time — anywhere, at any time — that Mandaeans had been recognized as a valued, important minority group, Sarkis said.” Wow. 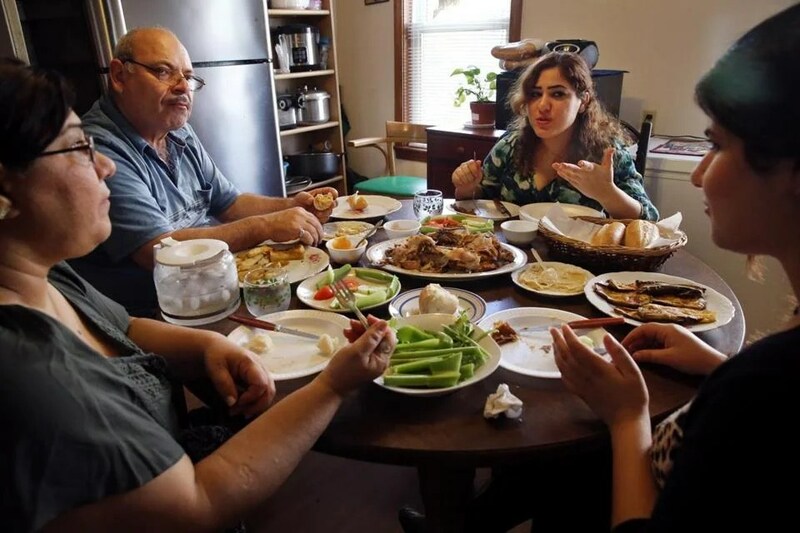 The Kalmashy family (left to right) Lilo, and her husband Mahdi and their daughters and Sura and Sahar, shared lunch at their home in Worcester. 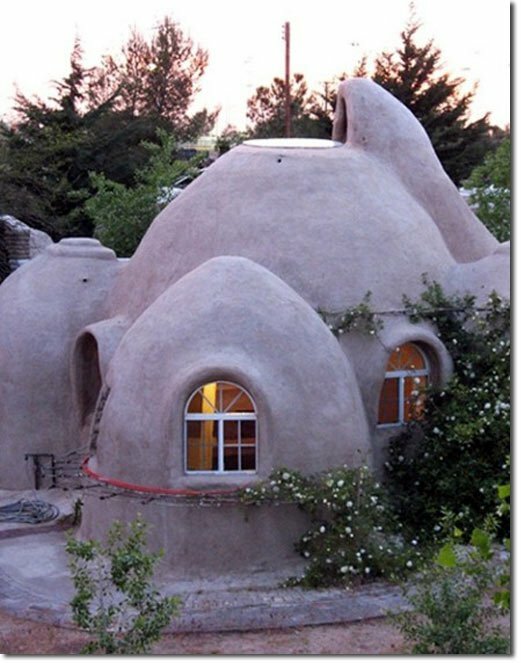 Tell me this is not a hobbit house. One thinks of Iran as repressive, and having watched the doomed 2009 revolution unfold on twitter, I believe it is. But Iranian theater people seem to be managing to squeeze in some fun. I blogged before about the Tehran production in a taxi, here. Now Studio 360 has a story on what might be called extreme improvisation. I take that back. There’s a script. But the actor doesn’t get to see it in advance. “Actors face stage fright all the time,” says Studio 360, a radio show. “But consider this scenario: you show up to perform a one-person show, and you’ve never seen the script. You don’t know what it’s about because you promised not to do any research. It’s your first performance, and the only one you’ll ever have. The theater’s artistic director hands you a fat manila envelope with a script. And go. “Also, the audience will decide whether you drink a glass of water that appears to have been poisoned. 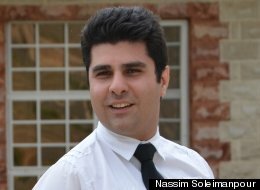 “Soleimanpour pulls his strings from afar, because — although the play has been performed in Toronto, Berlin, San Francisco, Brisbane, Edinburgh, London, and now Washington, DC — he really is in a cage. He doesn’t have a passport and can’t leave Iran, so he has never seen his play performed. ‘Nassim has given up the kind of control that is customary for playwrights,’ says Suilebhan, of working with actors and directors to realize the play. ‘At the same time, because he has put all of these restrictions on how it is to be performed, he has seized certain kinds of control that playwrights normally do not have. So he is literally embodying the ideas of control and submission and manipulation that he’s baked into his script.’ ” More. I like reading about street art and what motivates the creative outbursts. I have blogged on this before (Slinkachu, Banksy). The Art Newspaper recently did quite a long feature on street art inspired by (and inspiring) the Arab Spring. What a hoot that this art has been taken up by auction houses like Sotheby’s! But on the whole it’s good for the artists. I know what a great moment it was when the favela artists from Brazil were able to sell their work in the movie Waste Land.